Celebrities live life in the spotlight. We are constantly exposed to problems, scandals, crises that they face, which are invariably brought into the public eye. Representing a celebrity and promoting him/her may sound like a glamorous job, and in many ways it is. But, in reality, the PR professional has a tough job where he has to fix negative press and make sure the celebrity is always in the news, or “breaking news”. We often see celebrities linked to brands. The link between a celebrity and a brand is a fragile arrangement. Media is interested in the celebrity because they draw in their audience – readers, viewers, eyeballs and TRPs. The celebrity is usually interested in doing something that promotes his or her own brand, and the client has an agenda of their own. The PR is there to navigate all these interests – to get positive exposure for the client, keep the celebrity engaged, focus on the message, and keep the media balanced. Celebrities are human too – something that the fans and ordinary people find it difficult to digest. And, as such, they cover the wide spectrum of human characteristics like – straightforward, gracious, lovely, smart, patronising, dependable, caring, independent, or even being stressed, disturbed, confused. But more often than not, the dynamics between a celebrity and the PR earned, is delicate to navigate. As their PR, you identify opportunities for press coverage and get the celebrity’s team to agree to media interviews. Then, through carefully-compiled notes, brief the celebrity to answer questions, including negative ones! Also get tips from the journalist, if you can, then guide the celebrity through a successful interview. And, photo opportunities come a dime a dozen. Watch out for opportunities for celebrities to make public appearances. This can mean a corporate event, photo shoots or red carpet appearances for award shows or new movies. It can also mean setting up interviews with a channel or popular magazines or giving a speech at a charity event. The PR representative should be constantly working out new angles and making new contacts, with those who can help get the celebrity’s name linked to worthwhile causes and special events. Handling crises can be one of the most important jobs for a PR representative of a celebrity. Responses can vary if the celebrity states something racist or if he/she is trolled or a slice of personal, private life becomes public and so on. It can be a short, quick response or the job can be developing a long-term strategy for a public makeover, if the public reputation is ruined. The PR rep has to know how to respond to media inquiries and calm down the public, while also coming up with strategies to get the celebrity positive media coverage that overshadows the negative. A celebrity publicist should be Internet savvy. For instance, it would help if you are knowledgeable on how to work with Google to get false, defaming headlines removed from the search engine; or when to have a celebrity’s photo deleted from a website, if it is violating copyright, or how to deal with a celebrity being misquoted on a popular blog. More than just fixing Internet goofsups, the publicist should know how to react to controversial posts or tolls. It also involves managing the celebrity’s online persona. Celebrities have numerous social media accounts, including Facebook pages, Twitter profiles and even Instagram accounts. Tweeting for the celebrity, handling sponsored tweets and posting appropriate photos on Facebook, the representative might even post funny videos on YouTube that can go viral and ring in extra publicity! As a PR professional, assessing the strength of the celeb client is very important. And, for managing reputation, now the Internet offers a much deeper insight, allowing the public to make an impression, effectively. So, aware of the plus points of investing in social media, celebs look out for professionals experienced in using platforms like – Facebook, Twitter, Instagram, and even Snapchat too. These platforms are designed for sharing and you will be amazed at how many followers and friends you can gather for your celebrity. The glam ecosystem is becoming more clustered, and, in turn, more competitive, as everyone is trying to grab their share of limelight. The landscape is changing rapidly. Perhaps, celebrities can take some learning from Hollywood, one of the most competitive ecosystems in the world, and develop their social profiles to improve their chances of hitting success! For reputation is everything! 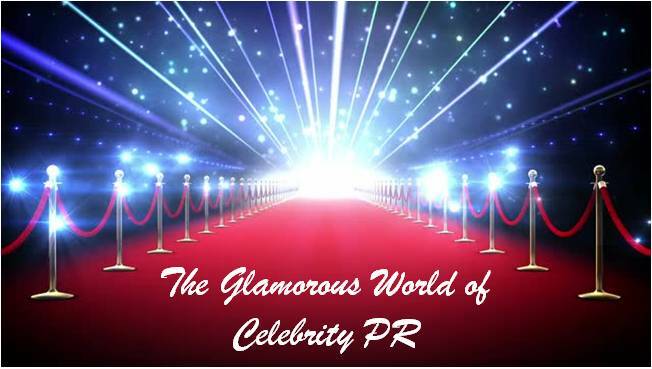 Be the first to comment on "Handling Celebrity PR"